A TRADITION OF BEING ANYTHING BUT TRADITIONAL. We were founded in 1984, with two cable channels when cable was far from a sure bet. Now we’re a global entertainment media company with six original brands: A&E®, HISTORY®, Lifetime®, LMN®, FYITM and VICELANDSM. We reach 330 million people worldwide, can be found in eight out of 10 American homes and have 500 million digital users. The best part? We did it our way. Yes, we’re global. Yes, our shows are the topic of conversation everywhere. Yes, we’ve made a habit out of bringing the next big thing to TV. But we haven’t forgotten what got us here. Without all of our people – our creative teams, producers and employees – we wouldn’t be where we are today. We have never lost our entrepreneurial spirit, that scrappiness we relied on when we were just starting out. We put people, programming and partnerships at the center of everything we do, because these are the keys to our success. AE offers Direct Placement, Contract-to-Hire, Project Placement and Recruitment Process Insourcing (TalentScout) services through its headquarters in Brookfield, Wisconsin. We are in the business of telling stories. They may be stories about real people or made-up people, but our true talent is imagining, finding, cultivating and bringing to life the most entertaining parts of the human experience. And that’s not just corporate gobbledygook. We are fully human-centered. We’re proud of the genres we’ve created and the way we’ve reinvented television, but we also put our money where our mouth is when it comes to education and outreach programs. We empower our people because we know they’re the fuel that drives all we do, and they’re driven to entertain and empower our audience. We are always on the lookout for talented candidates who are curious about the world around them and passionate about entertainment. At A+E Networks you’ll find a community of innovative, creative and inspiring people who aren’t afraid to try new things and collaborate in an effort to move the company forward. Every employee plays a vital role in the future of our company. We’re not just saying that. It’s the truth. As part of its commitment to employees, A+E Networks provides an industry-leading benefit package that includes non-contributory medical, dental and vision plans as well as 401(k) and pension retirement plans. In addition, we offer flexible work hours and a variety of personal assistance programs to help enrich your life in and out of the office. The diversity of ideas and individual human characteristics drive our business. They are the essential pillars that make our company strong as we strive to fulfill the company’s mission of engaging viewers every day. Diversity enriches our lives, our company and individual performance. Our efforts to understand and value differences contribute to the creativity, innovation and excellence of A+E Networks’ programs, products and services. Because our programs, products and services are only as good as the people who create them, we are committed to high ethical values and to creating a workplace where employees are encouraged to strive for professional excellence. The diversity of our workforce plays an increasingly important role in meeting this commitment. Diversity extends beyond race, color, creed or sexual orientation. Diversity is that combination of traits and characteristics that makes each of us unique and brings us together to achieve our goals. Diversity is about respect, openness, innovation and knowledge. It’s what we practice in our business. A+E Networks Summer Internship Program is designed to provide students with exposure to the cable and entertainment industry by placing them in a diverse selection of assignments. The program also serves to provide A+E Networks with talented and qualified students who may choose to become candidates for permanent positions upon graduation. At A+E Networks, our content and culture reflect the highest standards of excellence, and as a company we strive to identify talented people who are committed to upholding these standards. We believe our servicemen and women meet these criteria. A+E Networks strongly supports the hiring of our servicemen and women as they transition back into civilian life or seek career changes. We believe that veterans possess identifiable and transferable skills proven in real-life situations, and it is our intention to foster a business culture that recognizes, supports and develops the unique characteristics of our veterans. We encourage veterans seeking employment with our company to review the current open position listings and to apply to any jobs that match their interests and skill sets. If none currently exist, please post your resume indicating your area of interest and you will be contacted when a position becomes available that matches your provided information. At A+E Networks, we believe our contribution lies not only in the excellence of our programming but also in our commitment to the communities we reach. Key areas of outreach include programs that preserve our nation’s history, highlight our veterans, provide mentorship opportunities for young people, support women and girls and celebrate our diverse cultures. We believe in helping to make the world a better and more vibrant place. We hope you’ll join us in these endeavors. 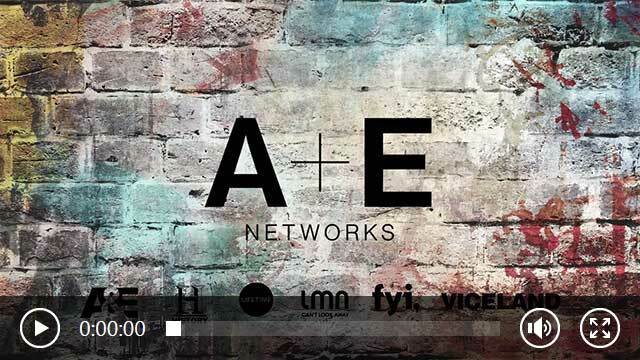 A+E Networks forges alliances with leading organizations and non-profits. Our deep commitment to corporate citizenship and social responsibility has been established through years of award-winning programming and civic participation. Our partnerships and initiatives give back to our cities, neighborhoods and schools, nationally and globally. Partners include the Smithsonian Institute, The Library of Congress, The National Archives, and many others. The visual nature of our programming greatly appeals to both educators and young people. We communicate regularly with teachers throughout the country through weekly e-newsletters, and each year we engage with teachers and students through webcasts and social media outreach. The Idea Book for Educators® reaches 600,000 teachers twice a year, offering fresh insights into the ways they can energize their classrooms. For your inspiration, imagination and inspiration, FYI embraces an adventurous, personalized approach to peoples’ taste, space, look, story and more. Stemming from programs that explore food and shelter, FYI engages with organizations that address critical issues of homelessnessand envirnmental awarness. FYI also helps highlight the innovative ways our partners are helping achieve social change and make real a difference in the lives of those in need. A+E Networks employees are actively engaged in their communities, volunteering their time and expertise to help others in need. Globally, our employees have participated in volunteer efforts with organizations such as Habitat for Humanity, the Food Bank for New York City and the Los Angeles Regional Food Bank. Our Green Team supports sustainability inside and outside of the company. With a commitment to civic participation throughout the year, our employees give back through hands-on service. A+E Networks International features channels and programs that are available in more than 180 countries throughout the world. In addition to our rich programming content, we have forged alliances with international institutions and museums. HISTORY® has a long-term partnership with the United Nations Educational, Scientific and Cultural Organization (UNESCO) to promote the importance of historic preservation and World Heritage sites globally.